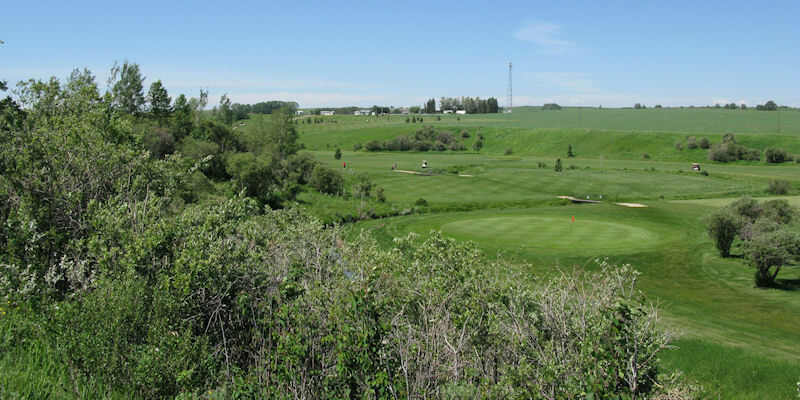 Beaver Dam Golf Course is one of Calgary’s premier links style destinations. 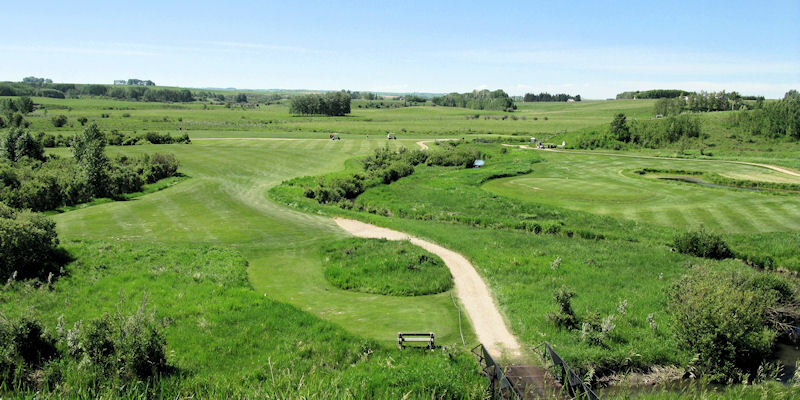 This exciting 18-hole layout nestled smartly in the coulee landscape boasts a golfing experience second to none. 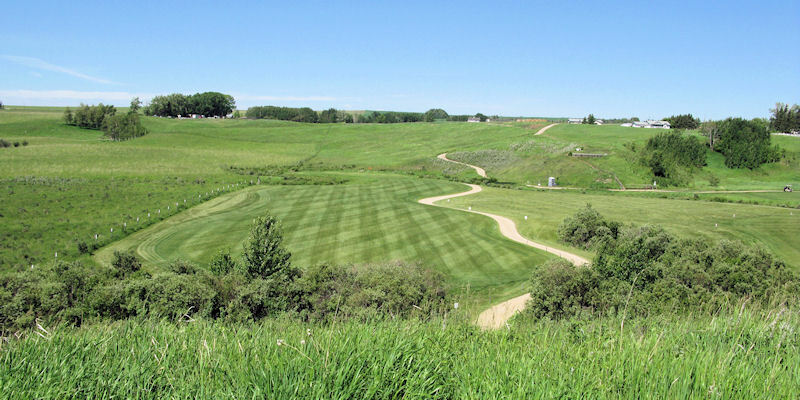 With a creek carving its way in and around thirteen of eighteen holes, Beaver Dam offers a true test for golfers of all abilities. Playing over 6000 yards from the back tees, this hidden jewel is sure to peak the interest of the golf enthusiast. 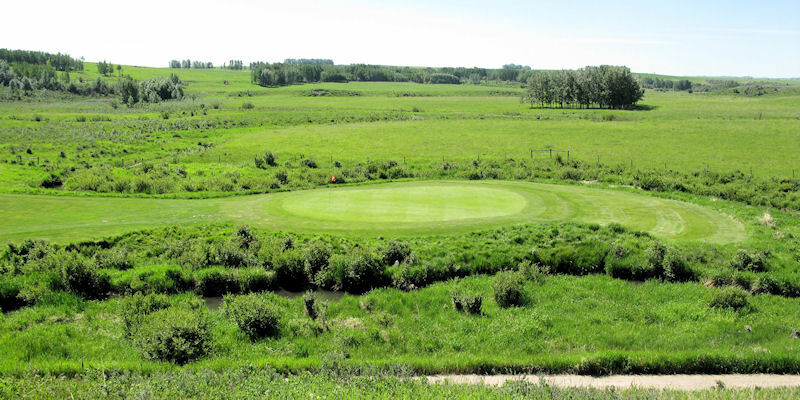 A great starting hole … a well placed drive sets up a shot into a deceptive green. Par is a good score. This short par four poses big trouble for players hitting it to the right, or on the wrong part of the green. Great hole to make birdie. Players face a demanding second shot after a good tee shot, into a well guarded green. An accurate tee shot on this par three will reward players with a putt for birdie. A short par five rewarding long hitters with a chance to get home in two. 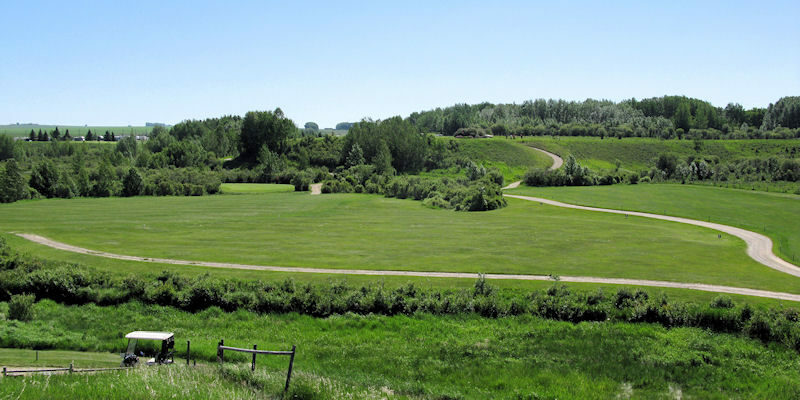 Our signature hole offers a difficult tee shot followed by a second shot that demands exacting distance control. This short hole offers players a great birdie opportunity after a well placed tee shot and a short second shot. Any errant shot will result in disaster. Bunkers guard both sides of this green making a controlled tee shot a must. This reachable par five place extreme emphasis on the tee shot. A small, narrow green adds to the difficulty. If a player can avoid the trees on the right and the creek on the left, this hole can yield a birdie. A well placed tee shot leaves players with a second shot into a tough green. Par is a good number here. Players will need to avoid the water while choosing a club that allows for the elevation change. This short but narrow hole lends itself to those who can keep it straight. 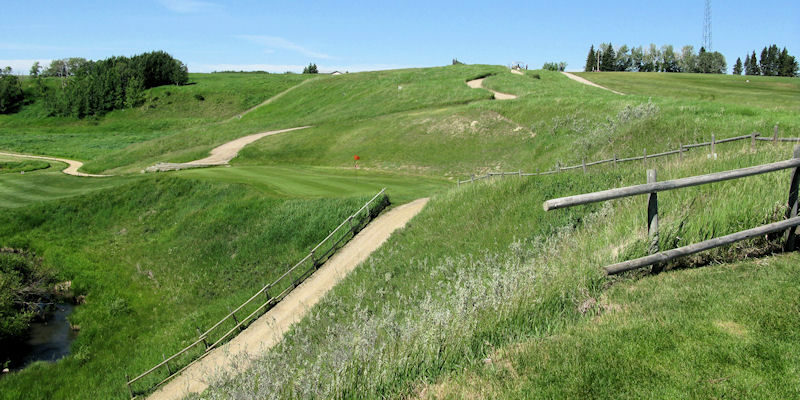 This par four is a challenge to golfers of all skill levels. Usually playing into the wind, players are usually left with a long approach shot to a green protected by a front right bunker. After an exact tee shot to a landing area sandwiched between two creeks, players are left with a short wedge shot into an undulating green. A deceptive green with a creek wrapped around the left side and back make this short par three a real challange. A straight tee shot to a deceptive green makes par on this hole a good score. After a good tee shot players are left with a chance to reach this green in two shots, but watch out for the bunker the on the right side of the green.